The US will suspend adherence to the Intermediate-Range Nuclear Forces Treaty (INF) with Russia on 2 February, triggering a six-month notice of a complete withdrawal. Washington stated that Moscow would have six months to "prove compliance" with the treaty, if it wishes to preserve the accord. Russia, in turn, has repeatedly denied any wrongdoing. Russian Deputy Foreign Minister Sergei Ryabkov said that Washington had informed Moscow via diplomatic channels that the country's decision to withdraw from the Intermediate-Range Nuclear Forces Treaty (INF) was not up for discussion. "The accumulated problems stem from the mutual claims by Russia and the United States on issues related to compliance with the treaty. Over many years of discussions, we have not managed to bring our positions closer together. We are deeply convinced that the current state of affairs is solely the result of the policy chosen by Washington, as well as its manner of managing issues", he said. The deputy foreign minister said that Moscow suspects Washington has been testing short- and medium-range missile technology banned by the INF under the guise of missile defence drills. "It’s no secret that for a long time the US has been conducting research and development work on various rocket systems, the creation of which would contradict the spirit of the INF Treaty. […] We had and still have every reason to believe that the United States is working off the technological potential of short- and medium-range ground-launched ballistic missiles, prohibited by the INF range, under the guise of anti-missile tests", he said. The United States has not yet explained why it concluded that the ground-launched SSC-8 cruise missile (Russian designation 9M729) violated the INF Treaty, Ryabkov said on Wednesday. "For a long time, the United States has refused to clearly indicate the specific type of missile in the Russian arsenal… citing some mysterious intelligence data. Only about a year ago, the United States reported that this was a 9M729 rocket. [The United States] has so far not explained to us why Washington has concluded that this missile was being tested for a range prohibited by the INF", he said. He noted that Washington's demand to eliminate all rockets of this type was totally "unacceptable" for Moscow. The diplomat vehemently denied that Moscow had violated the terms of the INF Treaty, saying that many of the US claims were falsified, while Moscow's reasoning has been ignored. “As part of the political games organised by the Americans, plans were announced to suspend the fulfillment of their obligations under the INF Treaty, starting 2 February, if Russia does not eliminate the subject of its so-called violation. In turn, we believe that, due to the absence of any violations of the INF on our part, the corresponding rationale designated by Washington to suspend the validity of the treaty is untenable, and the decision itself is void from a legal point of view. In practice, this means that for the period of the so-called suspension, the contract will remain in force and binding for both parties". Ryabkov underscored that Moscow was ready to be utterly transparent about its compliance with the treaty, and suggested that the US should act accordingly. "Almost immediately [after announcement], the United States confirmed to us through bilateral channels the intention [to leave the INF] and explained that the announced step was not an invitation for dialogue and that the decision was made due to the combination of circumstances and was final", Ryabkov said. The deputy foreign minister elaborated that the 1987 INF Treaty should be preserved: since Russia is ready for a full-scale dialogue, it is up to the US to decide the future of the agreement. Ryabkov further emphasised that the 9M729 missile could not be tested for a range banned by the INF, because it was not developed for that purpose. "Today, our colleagues from the Russian Defence Ministry will prove that the 9M729 missile could not be tested for a range between 500 and 5,500 kilometres [310 and 3,400 miles] prohibited under the treaty, since it has not been developed for this purpose". In addition, Russian Missile Troops and Artillery commander Gen. Mikhail Matveyevsky has stated that Russia will voluntarily submit the information "about the 9M729 cruise missile, which, according to the United States is linked" to the violations of the INF. Matveyevsky said that Russia has been testing various types of missiles at the Kapustin Yar test range, including those designated for the country's Strategic Missile Troops, Aerospace Forces, Air Defence, but that none of the missiles violate the flight range stipulated under the INF Treaty. "For the period from 2008 to 2014, more than 100 missiles of various types and designations were tested at the range. At the same time, all launches of surface-to-surface missiles conducted there did not exceed the flight range limitations under the INF Treaty. The only exceptions are strategic missile launches, notifications for which were sent to the United States under the 1987 agreement", he said. The military official elaborated that the maximum flight range of the 9M729 missile, an advanced version of the 9M728, had been reduced by 6.2 miles to 298.3 miles during the upgrade and is within the rules set by the INF. "As a result of the [upgrade], maximum flight range of the 9M729 was reduced by 10 kilometres [roughly 6.2 miles], compared to the 9M728 missile and is now 480 kilometres". In early December, US Secretary of State Mike Pompeo said in a statement that Washington would suspend its adherence to the accord within 60 days unless Russia returns to full compliance with the agreement. His remark came two months after President Donald Trump announced the intention to abandon the 1987 treaty, having accused Russia of violating its terms. 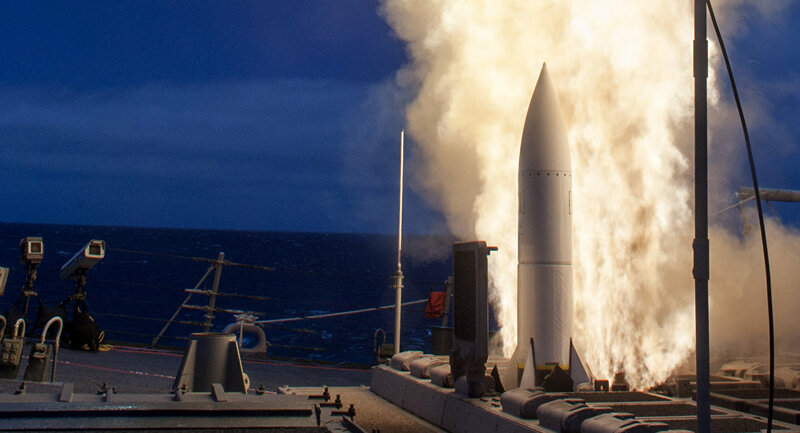 Moscow has vehementy denied the allegations, emphasising that Washington, in turn, was deploying launchers for Tomahawk cruise missiles in Eastern Europe, which is prohibited by the treaty. The INF treaty was inked by the Soviet Union and the US in 1987, and provides for the destruction of all nuclear-armed ground-launched ballistic and cruise missiles with ranges between 500 and 5,000 kilometres (about 300 to 3,400 miles).